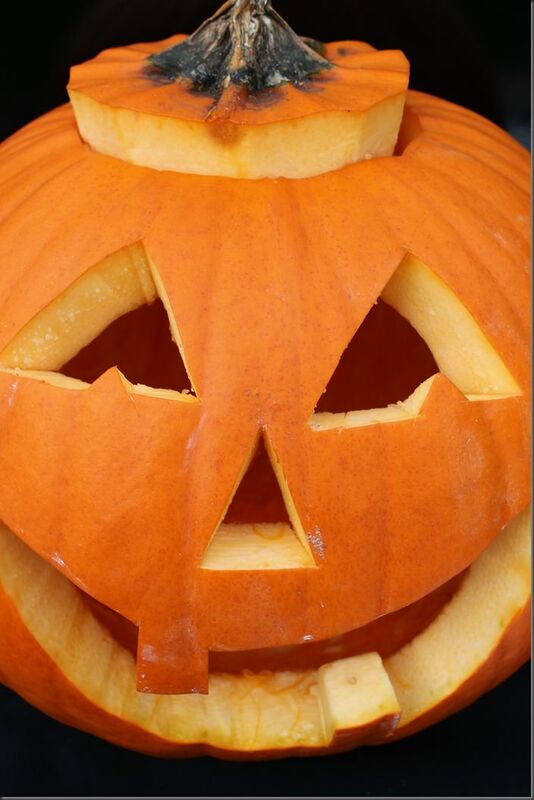 Children of all ages and their parents, can put their pumpkin carving skills to the test on one of our pumpkins. 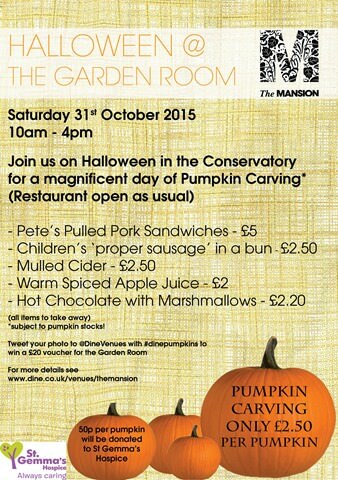 Our Garden Room Restaurant will host its own pumpkin patch this Halloween as we open our doors for a day of fun and celebration on Saturday 31st October. Food and drink – ranging from Pete’s pulled pork sandwiches and proper sausage in a bun to warm mulled cider and hot chocolate with marshmallows – is available to take away, while seasonal favourites can also be enjoyed in the café and bookings are being taken for lunch. 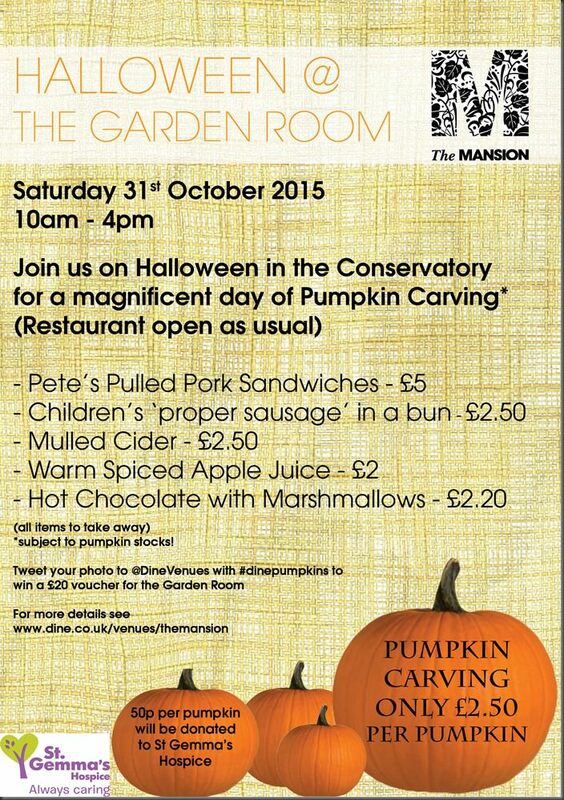 Pumpkin carving kits will be available, with a chance to win a £20 restaurant voucher for the best jack o’lantern carved on the day (tweet your entry to @DineVenues with #dinepumpkins). 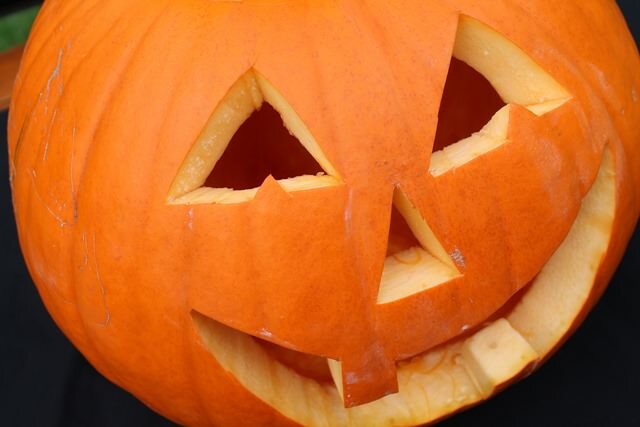 10am – 4pm, £2.50 per pumpkin. 50p from the cost of each pumpkin will be donated to nearby St Gemma’s Hospice.